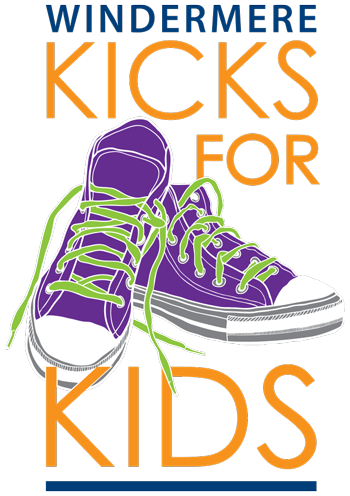 WHY: Last year, Windermere introduced the Kicks for Kids campaign. As we handed out hundreds of new shoes at Mary’s Place, we were beyond overwhelmed by the true need that existed there. Many of the kids who came were wearing old shoes that were way too big or small because that was all they had available. It left a huge hole in our hearts and encouraged our Mercer Island office to bring this shoe drive back for an even stronger second year. WHERE: My Office (Windermere Mercer Island) is the collection point where you can drop off new athletic shoes or sneakers (youth sizes 1-6 and adult sizes 7-9) or $20 Payless Shoe Source gift cards from now through August 18th.